A local street seen from the main street towards the circular park. 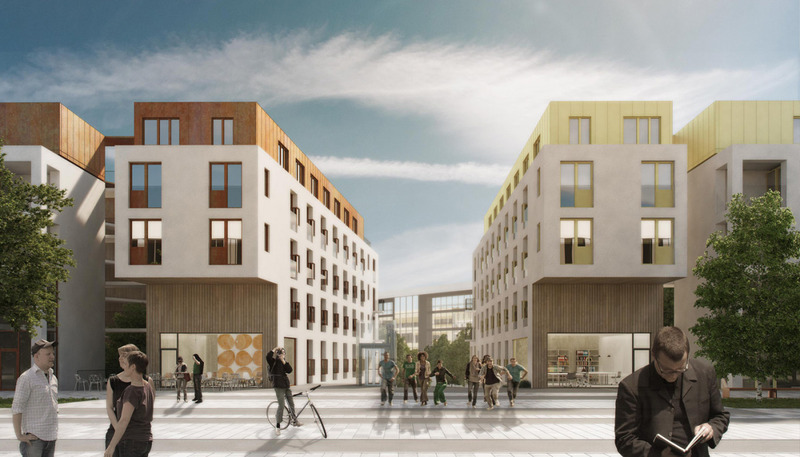 Starting from the rather detailed masterplan provided by the city, Tovatt Architects & Planners has developed a design for seven blocks within the area to be built by Svenska Bostäder. The design establishes the principles for each block based on detailed studies of the interior of the apartments, mix and sizes of apartments, sunlight, and a wide range of technical aspects. The work has included a coordination process for different interests that have been integrated into the design. 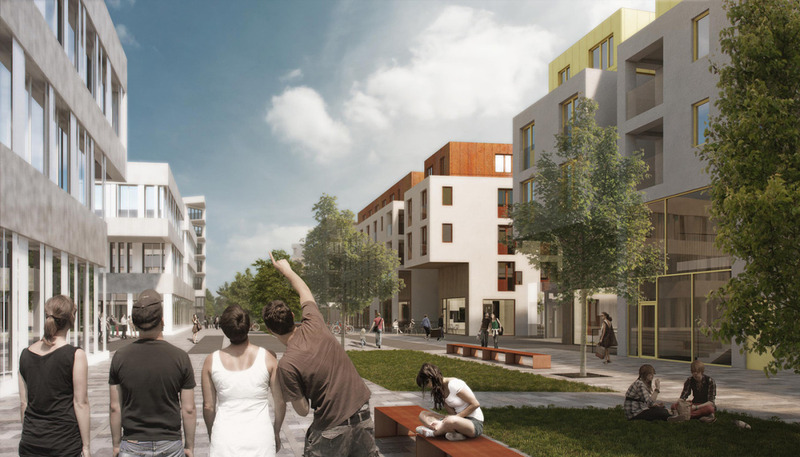 We have worked with Akademiska Hus that will build the university facilities as well as Trafikverket that will build a train tunnel through the site. Nivå Landskapsarkitek­ter has provided the landscape design. 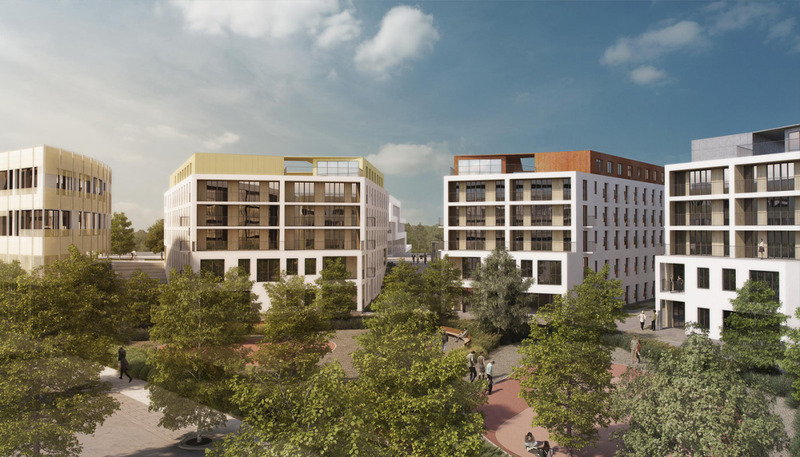 The design includes 1 000 student apartments as well as kindergartens, commercial and community facilities. Project type: Detailed design for student apartments. Please contact Johannes Tovatt if you want to know more about the project or how we work with student housing and complex projects. The main street running on top of the train tunnel.